Bath time is just as good of an opportunity for some fun bonding time with baby as any other time of the day. Today I am sharing my tips for how to make bath time fun for your little one. 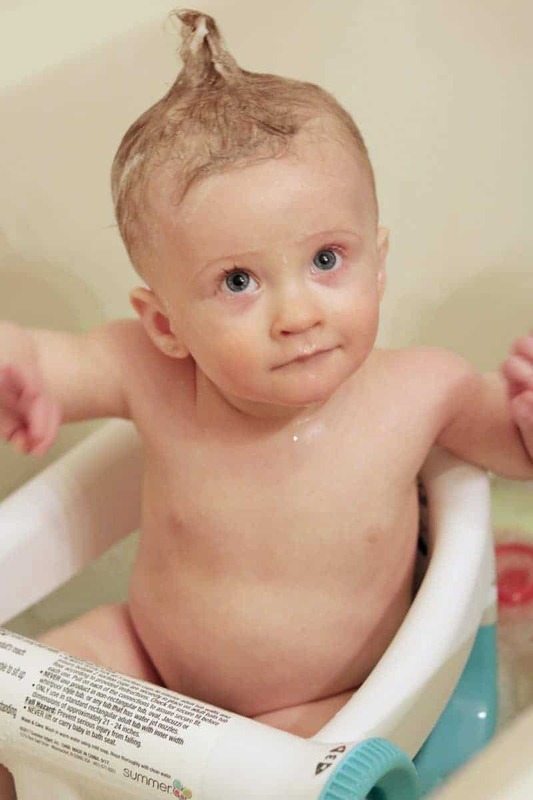 Nathaniel has always been a fan of bath time, right from his very first bath. He loves splashing in the water, and even enjoys shampoo being rinsed from his hair. He always has a big smile on his face as I pour the water over his head to rinse his hair – it is adorable! I enjoy his bath time as well, simply because I love seeing my little guy happy and having fun. Before I know it he will be a big boy and taking showers by himself. So, while he is a baby I am making it a point to have as much fun as possible in the bath and cherish every sweet moment we have together. Nathaniel is at the age where he is getting too big for his infant tub, yet he isn't quite ready to take a bath in the “big boy” tub. That is until we found My Bath Seat™ from Summer Infant. My Bath Seat™ is a great way to transition babies from their infant tub to the regular tub. With its high back and 360 degrees of support, I can rest assured that My Bath Seat™ will give Nathaniel the support he needs to sit safely in the bathtub. Nathaniel loves being able to sit up in the bathtub. He laughs and smiles while splashing and kicking his feet in the water. 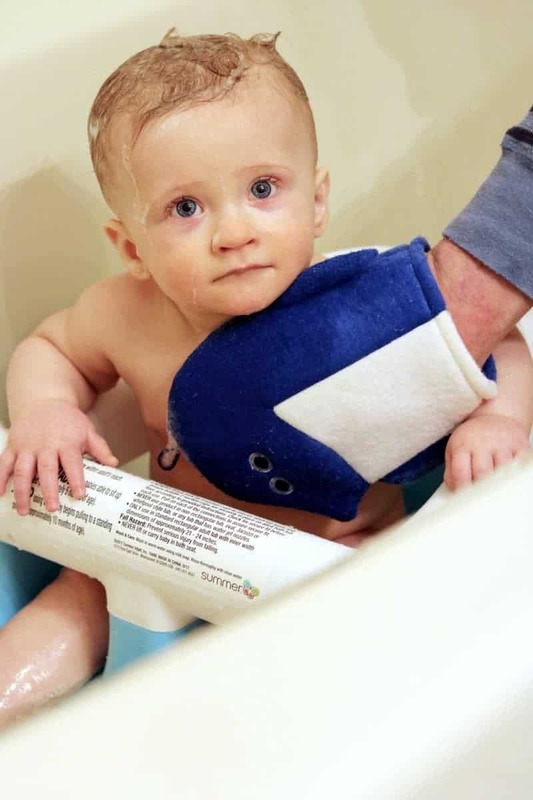 But my favorite thing about using My Bath Seat™ is that it frees up my hands so that I can use them to suds him up, play with him, and, of course, take tons of fun bath time photos! 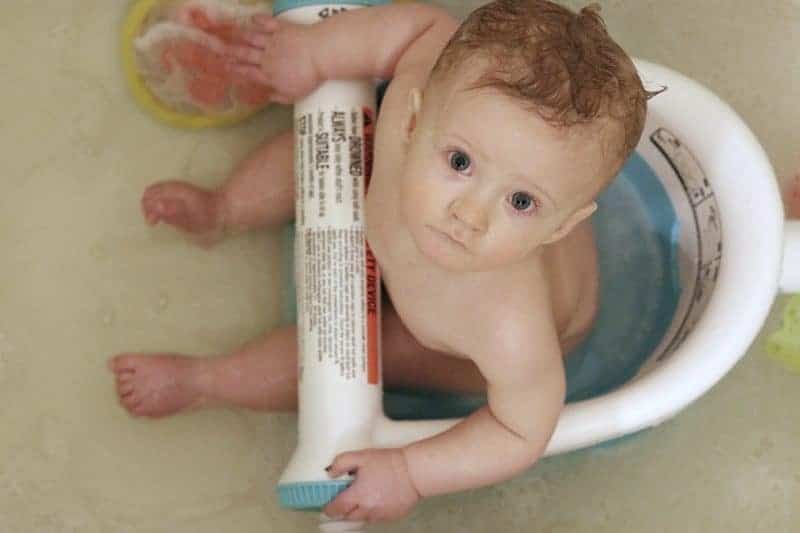 Please note that it is very important that you should NEVER leave your baby unattended in the bath and you should ALWAYS stay within arm’s reach of your child. From floating toys like rubber duckies and boats, to ABCs that stick to the side of the tub, there are a huge variety of toys out there to make bath time more fun for little ones. Nathaniel is just reaching that stage where he is starting to play with toys. In the bathtub he enjoys grabbing at toys floating by, and then splashing the water with them. As he gets older I am sure he will enjoy more imaginative play, and I can't wait to join him in the fun as well! Instead of sudsing up baby with a standard washcloth, try using something more fun like the washmit shaped like a shark you can see daddy washing Nathaniel with in the above photo. You will find a wide variety of novelty washmits out there, and I am sure you will find one that features your little one's favorite animal. To be honest, Nathaniel doesn't seem to care much whether I wash him with a washcloth or our shark mitt. But, I am sure that as he gets older her will find it a bit more amusing. So yeah, I am basically using a shark mitt to make bath time more fun for me at this point! Does your little on enjoy bath time? What are your favorite ways to make bath time fun? Let us know in the comments below! He is sooooo adorable! I haven’t seen the Summer Infant My Bath Seat before, I really need one for my Jada. 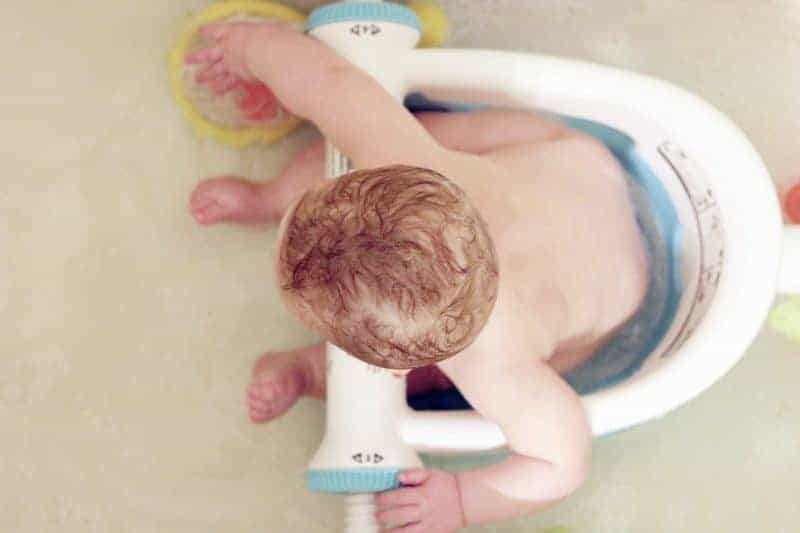 I like how it secures baby and allow their hands to be free to play with their toys while bathing. The shark mitt is cute but, I agree baby’s just enjoy the water and toys, lol! That bath seat would have come in handy when we had toddlers. We did it the old fashioned way – in the kitchen sink! There are so many cool toys for the bath tub today. More than ever. And I was lucky because my son loved bathing and swimming. OMGosh…He’s getting sooooo big! That bath seat is too cool, and I imagine it’s a huge help! What a sweet face! Looks like a handy accessory to have when you’re a busy mom! We had twins so bath time was always an adventure. I was sure thankful for bath-seats though, total lifesaver. 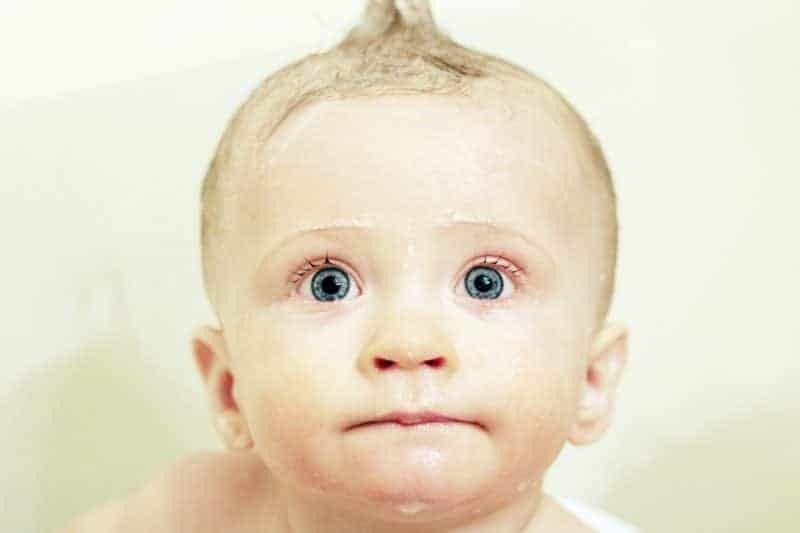 I can remember when my kids were little they loved taking a bath and splashing around. I used to have a seat similar, but I threw it away when I moved. Didn’t think I was going to need one anytime soon. Within a year, my grandson was born and another on the way! I haven’t been able to find another one. Your post was a Godsend!